Product prices and availability are accurate as of 2019-04-22 17:26:08 UTC and are subject to change. Any price and availability information displayed on http://www.amazon.com/ at the time of purchase will apply to the purchase of this product. 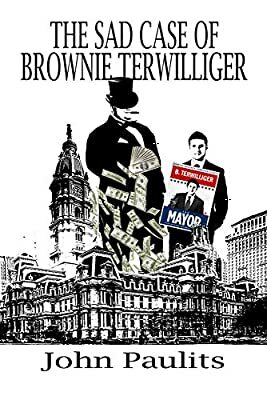 Brownie Terwilliger looks at his opportunity to run for mayor of Philadelphia as a chance to right the wrongs of a city. He hopes to oust Milton Streezo, the incumbent, but Streezo does not take kindly to this challenge and concocts a plan to destroy Brownie, even hiring Lunky Ledbetter, famed perpetrator of dirty political tricks. Can Brownie withstand the onslaught? Will he have the opportunity to do some good in the world? Don’t bet on it. Bravo! The upheaval in today’s political arena impacts our hero Brownie Terwilliger, as he enters a world far different from teaching. The interesting dialogue drives the story and contrasts old political names and Philadelphia landmarks with today’s raucous political climate! Entertaining and admirable follow-up to John’s previous novel, Henny and Lloyd, Private Eyes. What he did to the crime scene in New York City, he does to the political scene in Philadelphia. No one enters politics in the City of Brotherly Love and comes out whole. The dialogue sparkles. The action reaches breakneck speed. Another bullseye! —Kirkpatrick Sale, Author of Human Scale Revisited, The Conquest of Paradise, and other books. I haven’t had as much fun reading about someone’s sad case in a very long time. Brownie tries hard, is pure, and aims to be the best. Going into Philadelphia politics, however, proves to be a monumentally wrong choice for anyone with those goals. The story moves quickly. The backroom shenanigans and the mindset of each character is spot on. The perfect read for the coming political season. Paulits returns with a compelling exploration of the political machine, complete with intrigue, dysfunction, and deception. It’s a tale of self-destruction, morality and power that warns of the corrosion of our democratic institutions and the price of greed. A clever page-turner that you won’t want to put down!